The Kila Mtoto, Kila Mama project aims to save the lives of vulnerable mothers and new-borns in Mtwara region of Tanzania. Focusing on strengthening both the supply and demand side of maternal new-born and child health (MNCH) continuum. In collaboration with RHMT, lead an assessment to identify the needs of mothers especially those most at risk of not being able to access lifesaving MNH care services. Jointly with RHMT design a and roll out a strategy for community engagement; including male engagement; awareness raising as well as training/coaching of nurses and the community health care workers to create demand for MN health care services and preventative care at community level. If you are passionate about making a difference for marginalised mothers and babies, giving them a voice, this is your job! • Teamwork, with the ability to work collaboratively in diverse multi-cultural groups. VSO promotes equal opportunities and values a diverse workforce. Note:This national Volunteer role, eligible for Tanzanians only. 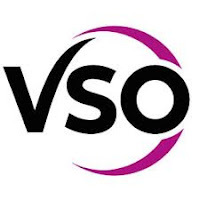 As a VSO volunteer, you will be sharing your skills with local communities on a full time basis. VSO will cover your travel, vaccinations, accommodation, and medical insurance costs, along with a local living allowance which will be paid in local currency. This allowance meets reasonable living expenses in country, but will not be enough to send money home. You will also receive some financial support to contribute to your on-going expenses at home. Much has changed since VSO started 60 years ago. We’ve gone from being a UK charity to a truly global development organisation. In 2016/2017 alone, we worked with over 7,000 volunteers from all over the world and from all backgrounds to deliver services that had an impact on the lives of almost 2.6 million people in the 24 countries where we work. Our programmes focus on the areas of health, education and livelihoods, with an increasing emphasis on resilience building, social accountability, gender and social inclusion. We believe progress is only possible when we work together and that strong partnerships are crucial to delivering positive change. That’s why we work with over 500 partner organisations, from local and national governments, to businesses, NGOs, funders, charities and community groups. Currently, over 30% of our people are recruited from within the country in which they work, and we continue to grow the share of community and national volunteers involved in our programmes. We also send increasing numbers of volunteers from one developing country to another. However, our vision has remained the same; to build a world without poverty.